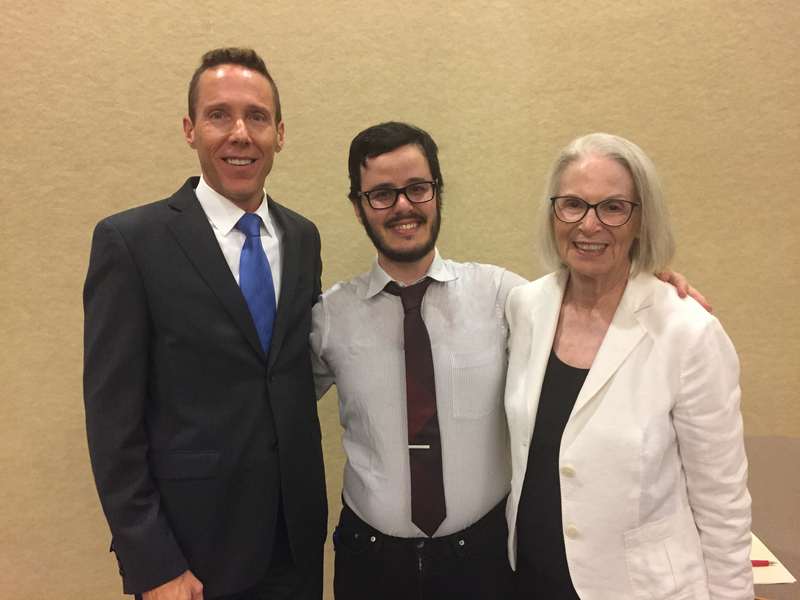 CARBONDALE, Ill. – Zach Moss, a Southern Illinois University Carbondale doctoral student from Burbank, Calif., is the recipient of the Paul Simon Public Policy Institute’s 2017 Edwin D. Phillips Debate Team Scholarship. Moss is a communication studies major with a specialization in intercultural communication. The scholarship was established in Phillips’ memory to honor the university’s championship debate team. “I would like to thank Susie Phillips for this extremely generous gift. It is especially meaningful to me because her husband Ed coached the SIU team to a national championship, and I sit by the trophy case where it resides while I'm researching in the office. So, to receive this honor is a reminder to me of SIU's storied history in debate and my place in that continuity,” Moss said. While attending Central Michigan University, Phillips was on the debate team and received national honors in both debate and speech. In 1959, he was honored in “Who's Who Among Students in American Colleges and Universities.” Central Michigan University still has a jazz radio show that Phillips started while there. Prior to his time at SIU, where Phillips earned his doctorate in speech communication and then taught airline management, he had a long career in the U.S. Navy, retiring after 22 years and attaining the rank of captain. Phillips was a diver in the Navy’s explosive ordnance disposal program. He left active duty and was hired by United Airlines in 1966. Phillips worked for 29 years in management -- first inflight and then as head of facilities for their corporate headquarters. The scholarship award is credited to the recipient’s university bursar account for use toward tuition and student fees.